The Last Command (1955). 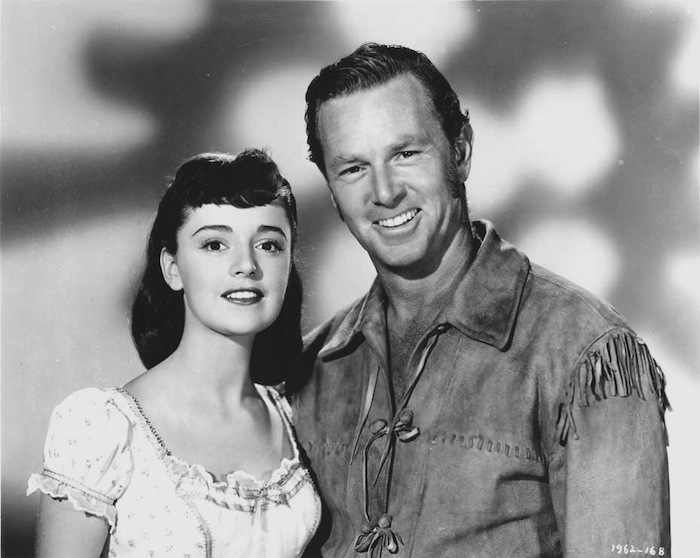 | 50 Westerns From The 50s. 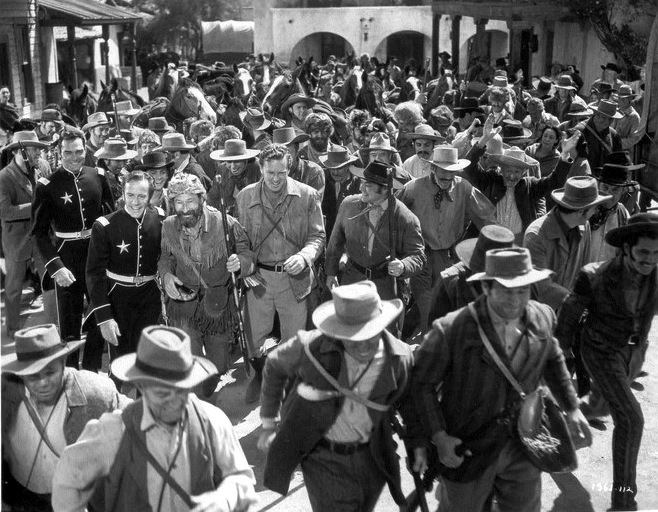 « Gunmen From Laredo (1959). Today was my mom’s birthday. She was a Texan, and The Last Command (1955) is a film she loved. Here are a few stills from it. 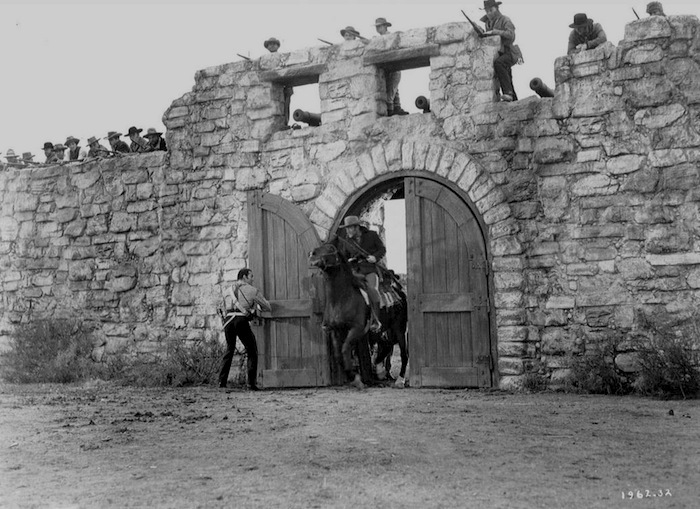 Of course, it’s Republic’s take on the story of the Alamo, directed by Frank Lloyd — made after John Wayne left the studio. 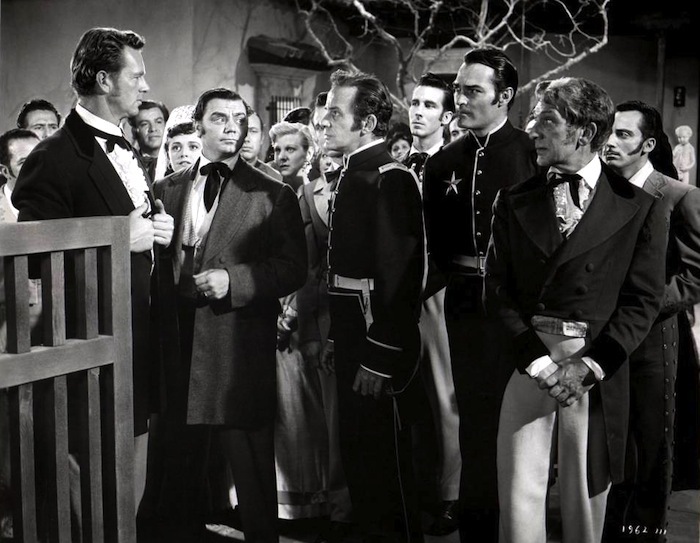 It doesn’t have the spectacle of Wayne’s The Alamo (1960), but I recommend it highly. So does my mom. Olive Films needs to give it a DVD and Blu-ray release. (a) Olive Films announcing titles that they then decide to withdraw. A MAN ALONE,WARPATH and THE SAVAGE. available anywhere else on the Planet.Mostly Universal Westerns. (c) Last and certainly (frustration-wise that is) least. THING THAT COULD NOT DIE well at least its in a Western setting. Dig that crazy cover art! release.Yep! that one has a traditional Western setting too. Only seen it once, but loved it – far superior to The Duke’s version, especially because it lacks Chill Wills! Must give it a rewatch, and great shame about the Olive withdrawal. TCM plays this movie . I have a dvd copy that I recorded in true color. It seems sometimes a DVD recorder does come in handy for some of the westerns that seem to be never released on dvd or blue ray. A DVD recorder is indispensable if you want to collect Western movies or any other type movies, without it I wouldn’t have any of the rare titles that still have not seen the light of day in the form of a commercial release. I still am happy to buy commercial releases when they do finally become available, example, any Joel McCrea or Randy Scott movie that finally makes it to commercial release, I am first in line to buy even though I may own several copies of my own. Esp. if it’s a widescreen version that I may not have. The bad news is DVR’s seem to be the average viewer’s way of recording. What they all don’t seem to realize is a DVR is really only a temporary recording, in 10 or 15 years that DVR recording will be long gone, so much for a “collection” if it’s only on a DVR. I only hope manufacturers will continue to produce DVD recorders in spite of the ignorance of most of the public. I have never used a DVR, for temporary recordings (like Judge Judy’s etc.) you can use DVD Ram or DVD-RW discs, those can be recorded over and over again like a VHS tape used to be. Everybody who wants LAST COMMAND should post your request in the Olive Films thread at HTF. Tell Mr. Lime that you’ll buy the film on DVD even though the transfer isn’t perfect. I told him that fans want to see the film regardless of whether of not the transfer is good enough for blu-ray and that the print TCM airs is perfectly acceptable for DVD. So release that. But it will take more than one person to convince Olive Films. Post your requests and it will very likely happen. Say nothing and it won’t. Here’s the link to the topic on HTF, folks. I’ll put together a real post on this soon. The important thing to remember, when you post your request to Mr. Lime, is that you are not demanding a state-of-the-art transfer. Point out that you accept the imperfections inherent in Trucolor. Point that Trucolor looked fine on the Bells of Coronado (1950) DVD. Richard, you’re right about Bells Of Coronado. It looks fine, and is one of my favorite DVDs. If only they’d done some of the others!